Finding a great dentist can be a struggle. And if you’re someone who cares about how your dentist treats you – not just as a patient, but also as a person – then you’ll want to expand your search criteria beyond just professional qualifications, especially if you suffer from dental anxiety. Having a dentist with a great bedside manner can make your dental appointments less stressful and help you to view oral health maintenance in a positive way. 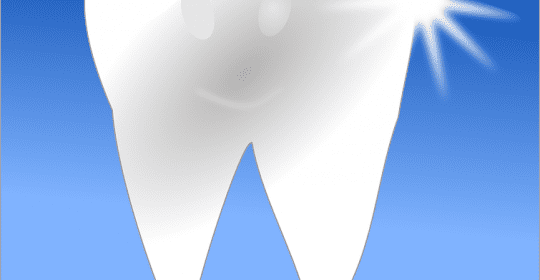 So how can you make sure the Tucson dentist you’re seeing has a great bedside manner? Here are three criteria you need to look for. Whether you’re a nervous patient or simply curious, it’s normal to have some worries and questions about dental procedures and your own dental health. And if you have dental anxiety or hypochondriasis, you want to know that your inquiries are heard and taken seriously, even if it turns out that there’s no physiological basis for your concern. That’s why a great dentist will listen patiently to you as you describe your symptoms, and then perform an exam to see if your concerns are legitimate. If it turns out that your concerns are mostly your mind causing you to believe you have symptoms that aren’t actually there, a great dentist will calmly and patiently ask you to consider the possibility that you might have dental anxiety – without judgment. If, though, your dentist tells you that you’re making things up without even considering the possibility of a physiological cause, that’s when you know you’re seeing the wrong dentist. A good dentist will always look for physical symptoms before suggesting the possibility that the cause may be psychological in nature. Like all disciplines of medicine, dentistry is a field full of complex terms and ideas that aren’t immediately obvious to the layperson. And when your dentist is throwing around words like periapical and interproximal, it can be a bit intimidating. 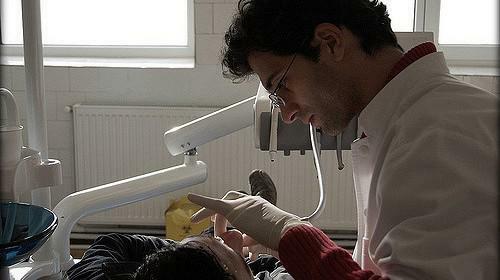 Dentists with poor bedside manner may use these terms to intimidate you into submission, or they simply may be so accustomed to using those words that they don’t even consider the possibility that a patient may not understand what they mean. If your Tucson dentist truly has great people skills, he’ll be able to quickly and simply explain things without sending you to a dictionary. And when you have an easy time understanding your dental health, you can make better dental decisions. Small talk may not seem important – hence why it’s called small talk – but when it comes to medical treatments, a little bit of chitchat goes a long way. A truly caring dentist will want to know who you are as a person, not just as a patient. Sociologists say that small talk is actually a very important part of human interaction, one that helps to forge connections between people. When your dentist makes small talk with you, it means he wants you to feel at home. That’s why a dentist with a great bedside manner will usually make an effort to engage in a bit of small talk. Finding a dentist with a great bedside manner can be a challenge, but it’s important that you feel comfortable with the person overseeing your dental care regimen. Before you commit to any dentist long-term, you’ll want to schedule a brief visit simply to see if you like your dentist’s bedside manner and if you feel comfortable with that person caring for your dental needs. Here at Badie Dental, we strive to make all of our patients feel relaxed and welcome from the moment they walk in to the moment they leave. Are you looking for a new dentist? We can help. Call Badie Dental at (520) 433-9800 to schedule an appointment with Dr. Badie and see why our patients can’t stop talking about his team’s bedside manner.